into the peel. This results in fine strips of citrus peel which may then be chopped. just pull the sharp edge across a small section at a time. one of these with me. I use this almost daily! When I first heard about a zester, I was intrigued. I promptly went out and bought one. That was not before I had almost seriously injured myself using a regular grater to remove lemon peel for Lemon Meringue Pie. I decided that a zester had to be the best thing since the invention of the whisk. 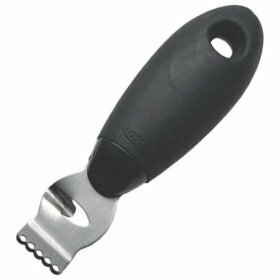 A "zester" allows you to create fine strips of peel from lemons, oranges and other citrus fruits. 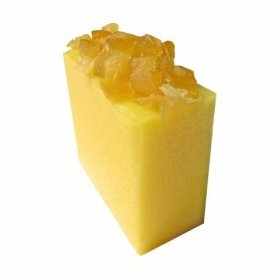 It is essential for all cooks if you want to remove lemon peel for a Lemon Meringue Pie or for orange peel if you are making Orange Butter. To remove zest from citrus, simply pull the sharp edge of the zester across the fruit peel. The zester has fine holes which are sharp and cut into the peel. This results in fine strips of citrus peel which may then be chopped. If you want to obtain small pieces without having to chop the zest, just pull the sharp edge across a small section at a time. I recommend using organic citrus fruits. If you want to make a pretty display of oranges and lemons, you can use the "channel knife" to cut thin strips of peel out of the citrus fruits. The result is a decorative pattern. I start at the top of the citrus fruit and wind my way around to the base. Think of how you peel an apple and it is just as easy. Just a hint: Try to only obtain the yellow layer in lemons, the orange layer in oranges, etc. The white pith is very bitter. Lemslip Buttercream is a soft blend of 15% soap and 85% natural, skin-softening oils with a blend of cocoa butter and coconut. If you are expecting this to foam like soap, it resists. What this will do is moisturize the skin after you have used soap or you can use it as a moisturizing body soap. It seems easier to use a piece of the buttercream with a washcloth. I tried some on my face and it left me with rosy cheeks. Using this all over will leave you refreshed, especially if you take a bath with "Happy Pill" and finish off with a little "Whoosh Temple Balm." If you want a soapy soap, then you may want to look for Sandstone, but that is more gritty with sand. This Lemslip is softer, luxuriously buttery and also contains Irish Moss Infusion, Fresh lemon juice, lime oil, citrus peel, sweet wild orange oil and gardenia extract. The warm lemony "blissfully fresh" fragrance is very appealing and comforting. If you want a complete citrus experience, you may also want to look for Happy Hippy, I Love Juicy shampoo and Veganese conditioner. To refresh the lemony intoxication, just add a little "Whoosh Temple Balm" to your wrists throughout the day. This is guaranteed to leave you feeling a little happier and refreshed. Michelle LeMay's beautiful healing stretching routine brings new meaning to a "movement meditation." Her warm Norah Jones/Rachael Ray type personality radiates on screen as her soft voice leads you through a series of stretches designed to release all your tension as you float away on clouds. Yes, clouds. There are clouds and a magic carpet. As the carpet floats in a calm sky of fluffy clouds, Michelle LeMay returns you to the world of peace. Where other instructors teach you to stretch and then hold the stretch, Michelle LeMay rocks and nourishes the body. You move from side to side in some of the leg stretches and I enjoyed the spinal rolls, bird of paradise and careful pacing. Her cueing is more like guidance and her energy is subtle and healing. If you have been looking for a 30-minute stretch routine, I can recommend this highly. 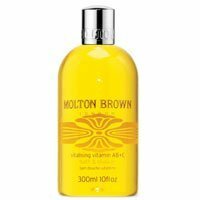 Molton Brown's Vitalising Vitamin AB & C Bath and Shower Gel is warm and citrusy with hints of exotic florals. This produces amazing amounts of bubbles and can be used along with other bath products like bath salts. Also works well as a shower gel in the morning because it has delicious orange oil.